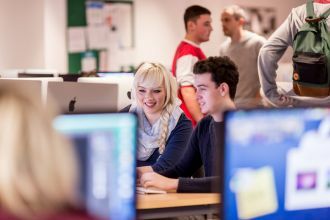 The Centre for Computer Science provides a state-of-the-art environment for research in Pervasive Computing and Artificial Intelligence. 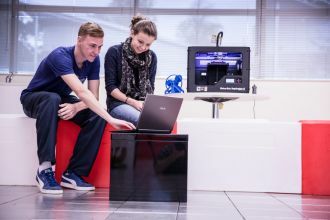 The Centre houses an Intelligent Environment with a range of leading-edge equipment and infrastructure to support research, deployment and evaluation of Connected Health solutions, data acquisition and semantic analysis of user environments, including dedicated smart labs with simulated living environments. In Pervasive Computing, research is focussed on sensor-based technologies, connected health, knowledge engineering and data analytics, computer vision, and next generation networks, systems and services, with applications in activity recognition, assistive technologies for healthcare and independent living, healthcare modelling, and bioinformatics. Research in Artificial Intelligence is focussed on machine learning, pattern recognition and classification, reasoning, decision support systems, and semantic analytics, with applications in text mining, intelligent document analysis, biometrics, and video-based scenario and event recognition. Contact Bryan Scotney for further information on research activity within the school. The main research themes in artificial intelligence and applications focus on aspects of Knowledge and Data Engineering. 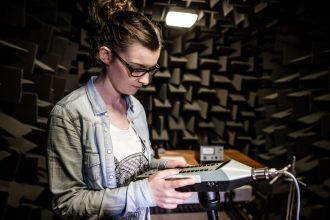 Research in Information & Communication Engineering is focused on knowledge and data engineering, telecommunications network management, cloud computing, image processing and computer vision, healthcare systems modelling and games development. Focusing on multi-disciplinary and collaborative research in sensor-based technologies, and applications in behavioural analysis, activity recognition, and assistive technologies for healthcare and independent living.